and bring it into our lives. O God, grant that we who are blessed with good things from Your open hand, may never close our hands and hearts to the hungry, the homeless, and the poor. 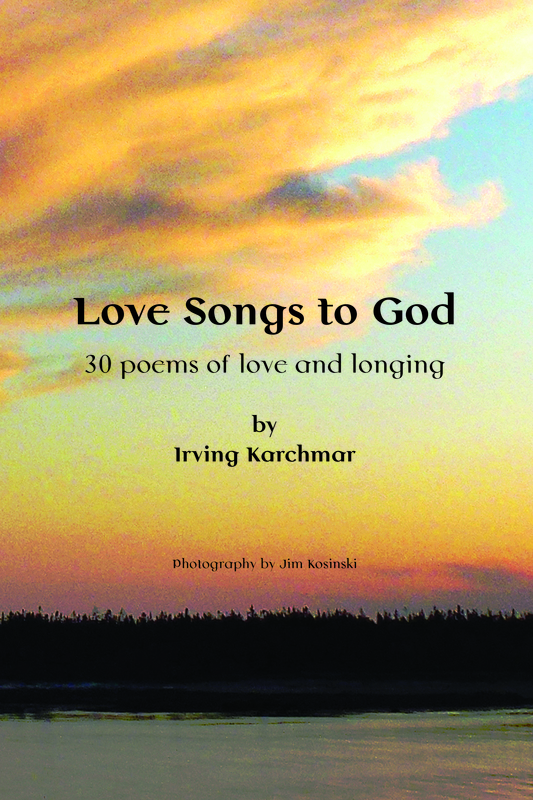 Just in time for Holiday gift giving, I have published Love Songs to God: 30 Poems of Love and Longing – a slim volume of poems, and lovely photography by fellow traveler Jim Kosinski to accompany each one . It is available as both a slim Paperback from Amazon for $13.99, and an Ebook from Google Play or Smashwords for $3.99. the pupil must create his own knowledge. that which cannot be put into speech. for unlocking that which seems to be in one’s heart. how to unfold his own knowledge to himself. but he has to find it. You are currently browsing the Darvish blog archives for November, 2014.